News > Catering & hospitality > Eat, live, work, play! With a conference theme of eat, live, work, play we certainly did all of those things – and also laughed a lot. It was an action-packed two days of conference sessions, networking, eating, drinking and rowing! Day one kicked off with a welcome from Peter Slee, Vice Chancellor of Leeds Beckett University, and Michelle Moore sharing some startling facts about employee engagement and, subsequently, the value of creating enthusiastic and fulfilled staff. The insight into life at planet BrewDog was an eye opener – Andrew Marrins shared the inside story of this high-energy, fast-growing company. 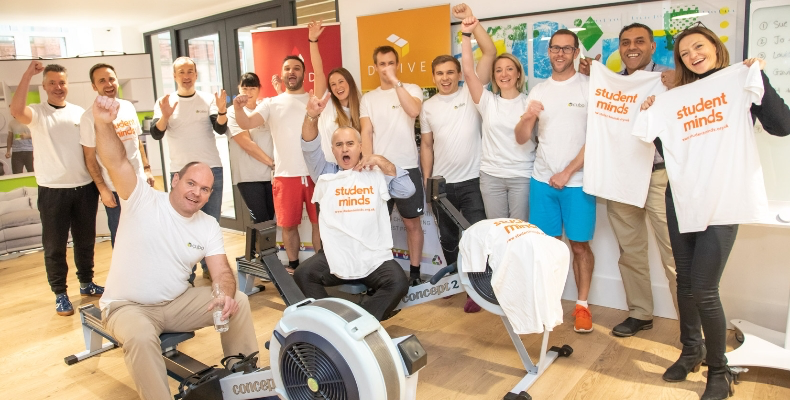 From their outdoor activity recruitment programme to the high-performance work culture and charitable foundation, the company outlook was a refreshing break from the norm. 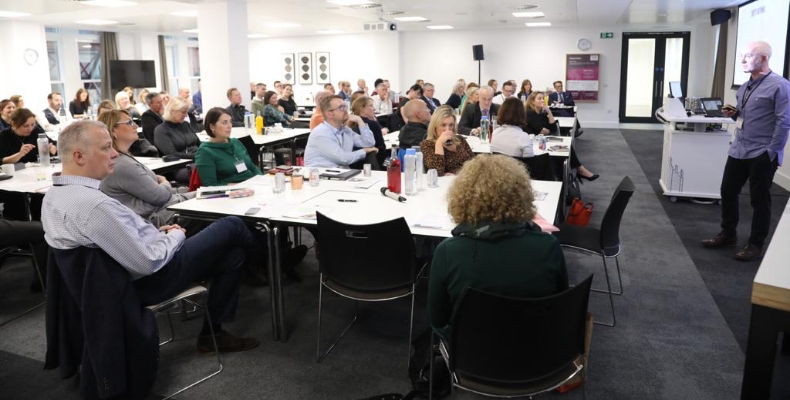 The regular CUBO hot topics session featured two presentations on the latest research – CUBO benchmarking delivered by Jo Hardman, University of Lancaster, and a new student lifestyle survey delivered by Tom Laskey of Sodexo. Day one rounded off with an insightful panel debate, discussing how universities can take advantage of emerging food trends in the 21st century. Chaired by Professor David Russell, there was much to learn about current trends from veganism to gut health. 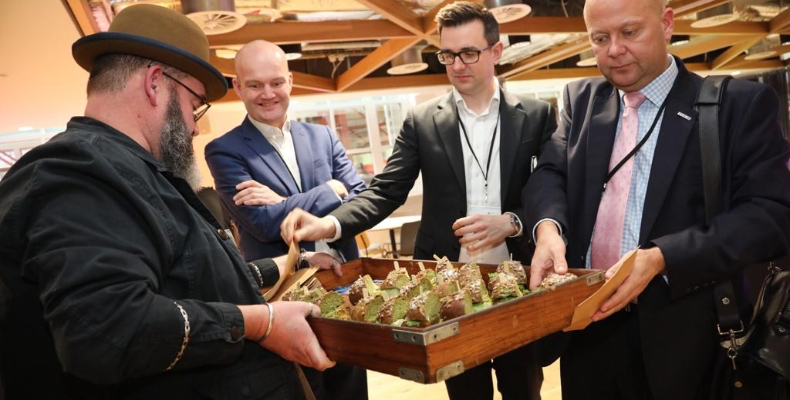 All strands of debate came to conclude we are seeing a ‘fragmentation of healthy eating’ where the challenge is to cater for a multitude of diets and lifestyle choices, at the same time being inclusive and offering a choice of eating within a shared space. Our food and drink choices throughout the conference were certainly varied and inclusive, with Vegan Punks cooking up katsu curry and vegan burgers, Brewdog treating us to a beer tasting, and Leeds Beckett showcasing their best chefs at the conference dinner. There was no chance of a sluggish start on Friday – Carnegie outdoors had everyone out of their seats and around the room in a game of ‘human bingo’! Delegates demonstrated their skills doing the moonwalk and dancing the macarena! The serious sessions of the day proved to be hugely motivating, from Jo Haigh’s insightful ‘Directors of 21st Century’ to a lesson in how to work smarter from Simon McCaskill. While it was a little depressing to hear from Simon how unproductive the modern working day has become, it was interesting to hear how to work smarter and complete a week’s work in just four days. Our final presentation from Yorkshire Rows was awe-inspiring. The story of their physical and mental journey made for an uplifting end to the sessions. Delegates and exhibitors then had the chance to experience a physical challenge of their own in our indoor rowing competition. Seven teams of two rowed together to see which pair could row the furthest in two minutes. The distances were impressive; there were certainly some dark horses among our competitors! It proved to be a great end to the conference and also raised £400 for CUBO’s chosen charity, Student Minds. “The best Winter Conference I have ever attended, and I’ve seen a few!” Praise, indeed, from Jon Greenwood, Director of Commercial Services, University of York.